Popular Wellesley school district located in the Northwest section of Wellesley that borders the towns of Weston and Natick. It offers easy access to Route 9 and has many kid friendly neighborhoods. Area amenities include the Boulder Brook & Rocky Ledge Reservations, through which kids can walk to school, and which are also popular for hiking, bird watching and cross-country skiing. Impressive views can be seen by those who choose to climb the steep "Rocky Ledges". There's also Kelly Field, located adjacent to the Bates School, which has two tennis courts as well as Little League and soccer fields. Another popular area landmark is the convenient Fells Market, perfect for when you need a few things, but have neither the time nor perhaps the will, to deal with a supermarket. Located on Weston Rd by Rt. 9. Ten thousand to fifteen thousand square foot lots for zoning regulations. Search Homes in the bordering school districts of Hardy and Upham . 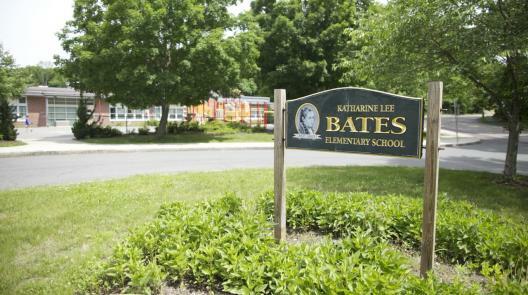 Search Homes in the Bates School District.